Ready for a light-hearted, slightly paranormal mystery? The Family Skeleton series by Leigh Perry might be for you. This series is so unique, and the wise-cracking investigating skeleton never gets in the way of the mystery, but only adds to the fun. When Sid’s online gaming friend comes looking for him to help find a missing player, Georgia agrees to help him look. What they find is murder, and I had a great time tagging along for the investigation. 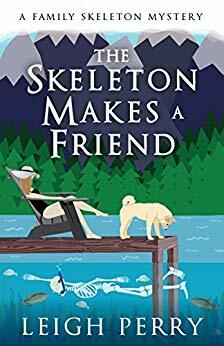 The Skeleton Makes a Friend is the 5th book in this series. You can enjoy this book without reading the previous entries, but I think you’ll want to go back and start at the beginning after you do. 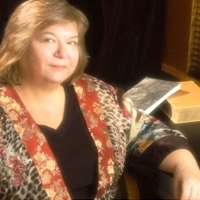 < Previous Wreath Between the Lines by Daryl Wood Gerber – Recipe / Guest Post & Giveaway! Very different premise to this series. I have not read any of this series, but I might give this one a go and see if I like it. If I do, back to the beginning I go. Nice review Erika. Thanks Carla – and I hope you love it if you give it a try! Now this is different. Thanks for your review. Oops, my comment posted and I wasn’t finished. LOL Great layout on the post. It was a fun book.